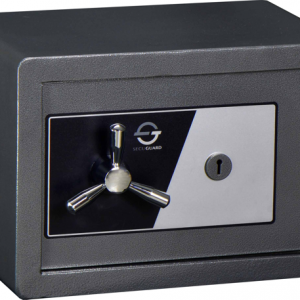 Heavy 8mm steel plate door and 6mm steel plate safe body reinforced with heavy steel frame all around front edges. 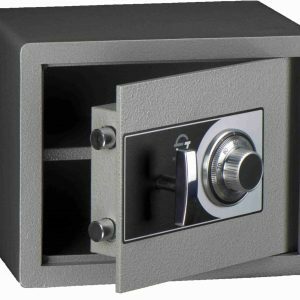 Key lock safe: Quality Australian made six-lever pick resistant safe lock mounted on 6mm case hardened steel plate. 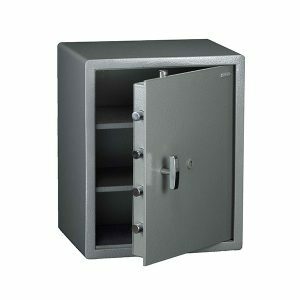 Combination lock safe: Quality UL listed 3 wheel combination lock mounted on 6mm case hardened steel plate. Secondary re-locking device. 25mm solid locking bolts. 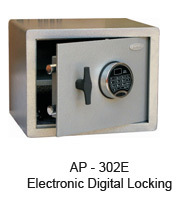 Electronic digital lock safe: Quality UL listed swing bolt electronic digital safe lock mounted on 6mm case hardened steel plate. 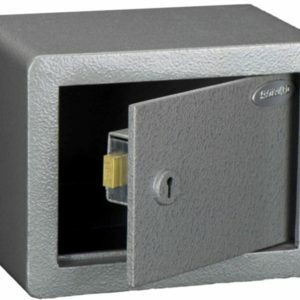 Secondary re-locking device. 25mm solid locking bolts. Powder coated hammer tone silver finish.